Almost everything about the Palm Pre Plus is cooler than my previous phone, the HTC Touch Pro running Windows Mobile. I thought my phone was the hotness. I thought my phone was the greatest thing ever. The Pre is hotter. The Pre is the greaterest thing ever. The hardware design is sleek and lovely. The OS looks and feels fabulous. After a brief learning curve I was able to pick up all the gestures and navigational tricks and I grew to really enjoy the interface. It can do cool things like navigate with Google Maps and it can act as a mobile WiFi hotspot, serving up to 5 other devices with wireless internet – very cool for a long roadtrip. The Pre works with Microsoft Exchange so it syncs my calendars and contacts, which is great. However, the calendar functionality is limited. There are little things that have come to be very important to me that you cannot do on a Pre calendar. The most critical problem for me is that I can’t add attendees to a calendar appointment. Whenever I’m out and about and make a new appointment, I add Dan as an attendee and the event goes to all of our phones and calendars within minutes. This makes family planning (not that kind) very easy and I feel like I need it, although “need” is a funny word. Another downside to the Pre is that there is currently no way to edit documents. It comes with a document viewer installed and on the Dataviz website, there’s a page saying that a fully functional document editor will be released early in 2010. But it’s April and that’s a deal breaker for me. Dataviz has document editing apps for every other phone and its dog but not for the Pre. And therein lies the rub. Not many people are designing apps for the Pre. Palm is up for sale so its future is uncertain. I’m sure developers don’t want to pour resources into creating apps for an OS that may be off the market shortly. They’re putting their eggs into the basket of Apple and Google and hopefully Microsoft when their new (supposedly groundbreaking) Windows Phone 7 gets released later this year. Because we’re so entangled with Microsoft, I was hoping my previous phone would get me through until the release of The Windows Phone Hotness but with my phone gone, I need to get something now. I wanted it to be Palm. I loved the Pre. But this Goldilocks, like my burglarific predecessor, has very specific needs and is moving on to the next bowl of porridge. If you’re looking for a smart phone that’s beautiful, sleek, easy to use and well-designed that doesn’t have a lot of gadgets and apps but has great web-browsing and simple personal calendaring, take the Pre out for a spin. This week I’m exploring the world of <DROID>. The <> around DROID indicates that I’m saying it like a robot. Say it with me. It’s fun. In this case, I’m borrowing phones to try out and then I plan to purchase the one I like best. I don’t get what’s going on with Palm. I bought a Palm tX a few years ago (I know, not a phone), and it is (or was in the day) a cool little device with a lot of potential with pictures, movies, music, and ebooks. But there was zero software support for it. Nothing new, no development. The OS was seriously from the 80s. The 1880s. It would allow a maximum of 256 files total on the device, which is kind of silly when you can put billions of files on the SD card. If you slipped and put too many files on, it wouldn’t boot. So, I’m allergic to Palm. Sounds like you were almost infected but escaped. Phew! I’m sorry you lost your phone but I’m reading your reviews with great interest, as I would love an iPhone but I’ve been with Verizon for 8+ years and know that the network works everywhere I want it to. So I’m sympathetic to your search, though my current phone is a dinosaur razor. I have high hopes for the Droid, though! Ohh these are fun posts! I’m with you on the viewer but not an editor issue. What’s up with that, right? drat! for the record, though, when my DH or I add something our individual calendars (his pre, my pixi) it just automatically shows up on the other one’s phone. no attendees required:) his stuff in blue, mine in green. I do miss some of the calendar features on my old centro–especially custom alarm settings for calendar events. I hope you find your dream phone! The old PalmOS based devices feel like they are ancient because the operating system on them is ancient. This is really something that is critical to the discussion here, because I see a number of comments about apps and features. Back in the old days of Palm, when the Palm Pilot was THE PDA, and there were no real alternatives, Palm had their operating system(PalmOS), and they made it open enough to let people write applications. All of the hype about writing apps for smartphones can really date back to the old days of Palm. 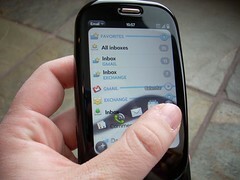 Palm spun off the operating system development to its own company, with the idea being that other PDA developers would then license the use of PalmOS for their own devices. And, to a limited extent, it worked. You had devices like the Sony Clie, and there were a few others that I don’t remember off the top of my head. And then, disaster, Access bought the company that handled development of PalmOS. 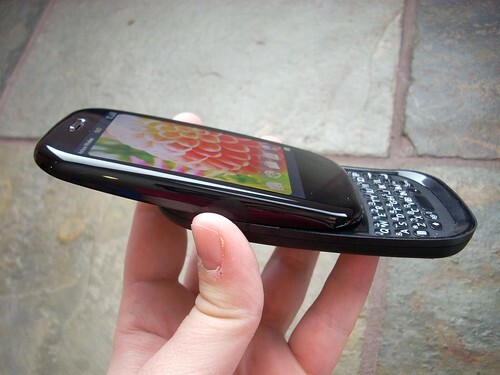 Access sat on it, with no development of the operating system, and as time went on, devices running PalmOS started looking older, and older, and older compared to the newer operating systems made by Blackberry, Nokia, and really all of the other cell phone companies out there. Palm went into a nosedive and pretty much was fading into obscurity. Access did START working on a new Linux based operating system, but it was too little, too late. Palm, now a much smaller player in the market saw what was going on with Access, and the decision was made to come up with something NEW. Linux was also chosen as the core operating system, but the whole user interface was all new and original. 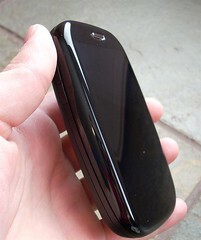 WebOS with the first device, the Palm Pre was shown in January of 2009. Since it was ALL NEW, the initial number of apps were going to be small, but that old idea of encouraging developers to write apps was still there. The idea of locking the device down so ONLY registered developers could get access to the core of the device was alien to the idea of WebOS. So, here we are, a year and a half after the first public showing of WebOS. There are a fair number of apps available, with the number growing daily. Still, considering Palm only has two device models(four if you count the plus versions), it isn’t surprising that there are not a huge number of apps available yet. Looking back, I had bought a Palm Treo 680 a bit over three years ago, and there was a LOT of software that had been written for PalmOS over the years, so of COURSE there was a lot of software and features there. 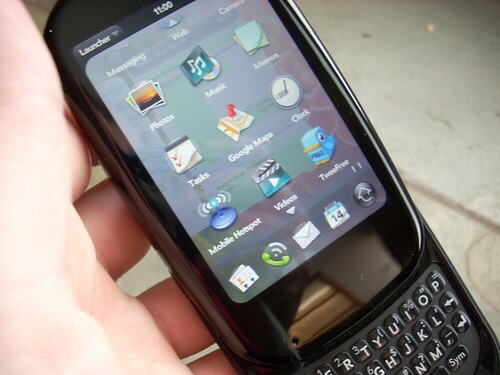 Palm currently is in the process of adding features to the new WebOS that will allow for all of the different features people have come to expect from older Palm devices that just are not here yet. So, this is where we are with the Palm Pre and Palm Pixi devices. WebOS 1.4.1 and 1.4.2 have added some core functionality, and 1.4.5 is in the works and should be out by the end of June. New apps are being added to the app store continually, and there are also the “home brew” apps that people are putting together to do the things not currently available in current applications. http://www.precentral.net has the latest news for those who want to see what is going on with the homebrew application development, and see what will be released in the near future.